Andean condor is a massive raptor inhabits in the high peaks and grassy plains across South America. It is a large flying bird, weigh up to 15 kg. spanning up to 10 ft 6 in, Andean condors have the longest wingspan of any raptor in the world, . They love to glide in the wind and can each a maximum height of 15000 feet. Andean condor is also regarded as a symbol of power, liberty and health. It is also the national bird of Bolivia, Columbia, Chile and Ecuador. Unfortunately, the majestic Andean condor is an endangered species. Over hunting and habitat loss are the main causes. Andean condors are scavengers that primarily feed on carrion. They have excellent eyesight and could spot carrion easily while gliding high in the sky. The sharp hooked beak and powerful claws let them to easily collect meat from carcasses. White stork is a popular wading bird that known for its distinctive long neck that measure up to 45 inches. They inhabit in warmer regions across Europe and West-central Asia. The white storks have a wingspan of 2.3 meters and their beautiful plumage comes mainly in white. 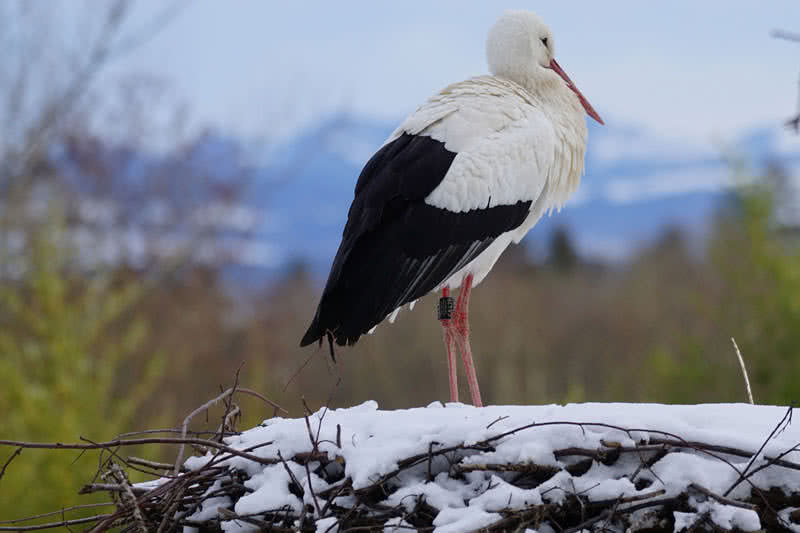 White storks are strong migrant birds. They spend the winter season in tropical Africa. During migration they form large flocks that contain thousands of members. White storks can also reach at a maximum altitude of 16000 feet. Bar-tailed godwit is a strong migrant, large wandering bird with a distinctive long bill. They breed in Alaska and Siberia and wintering in Australia and New Zealand. Bar-tailed godwits are also known for longest non-stop migration. During the epic journey from Alaska to South, bar-tailed godwits cover about 11000 kilometers without rest. These amazing birds cover such long route in just seven or eight days. Bar-tailed godwits could also reach a maximum height of 20000 feet during the flight. Most amazing thing about bar-tailed godwits is their capability to perform the long-distant migration without rest. 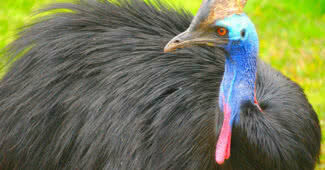 They have a length between 14-16 inches and a maximum wingspan of 31 inches. Compared to other species of birds the bar-tailed godwit consume very little energy from the body. They also feel less air resistance as they have an aerodynamic body shape. Mallard is a migratory wild duck found in North America and Europe. Mallard ducks are notable for their iridescent-green head and bright yellow bill. Before the start of winter mallard ducks migrate to the South where the temperature is mild. Mallard ducks usually travel at an altitude of 1000-4000 feet. But they are also known for flying at 21000 feet. 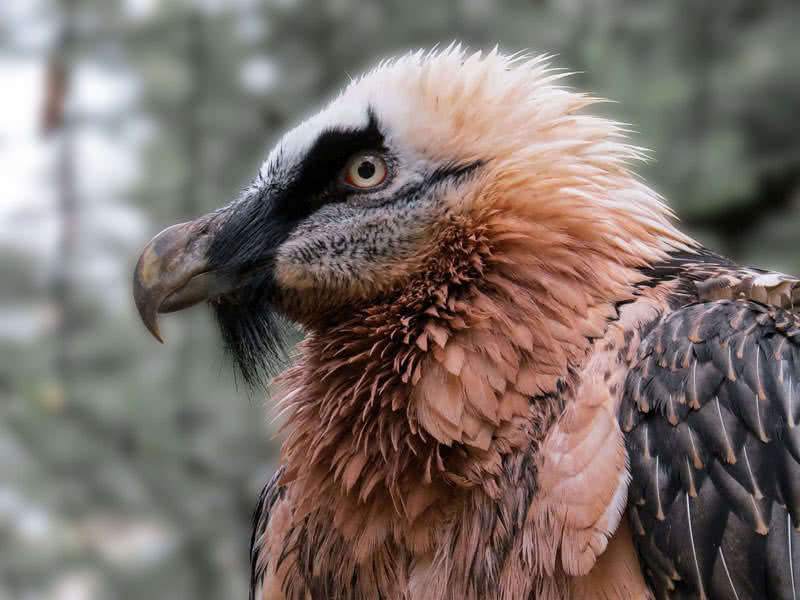 Bearded vulture is a large species of vulture that inhabit in mountainous areas of Southern Europe. They can reach up to a height of 4 feet and weigh between 5-7 kg. They also have a wingspan of 2.5-2.7 meters. 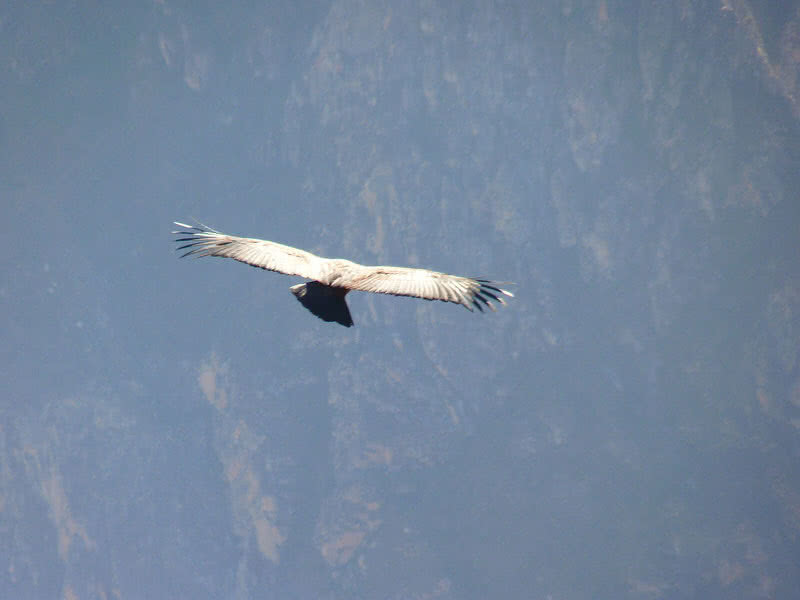 The strong, large wings let the bearded vultures to soaring high above mountainous areas. They are capable of flying at an altitude of 24000 ft above the ground. Bearded vultures also known as ‘bone-eater’ because they exclusively feed on carcass bones. They swallow small bones by the whole. If a bearded vulture gets a big bone it would break the bone into smaller pieces by dropping the bone from a height on the rocks. Also, Bearded vulture’s stomach acid can easily digest the bone pieces. Alpine chough is a medium-sized mountain dwelling bird that lives in the high mountains of Southern Europe and Central Asia. They are also known as yellow-billed chough, named after their bright yellow bill. Alpine chough is the highest nesting bird in the world. It built nest at an altitude of 21300 ft. Alpine choughs are perfectly adapted to live in thin atmosphere. 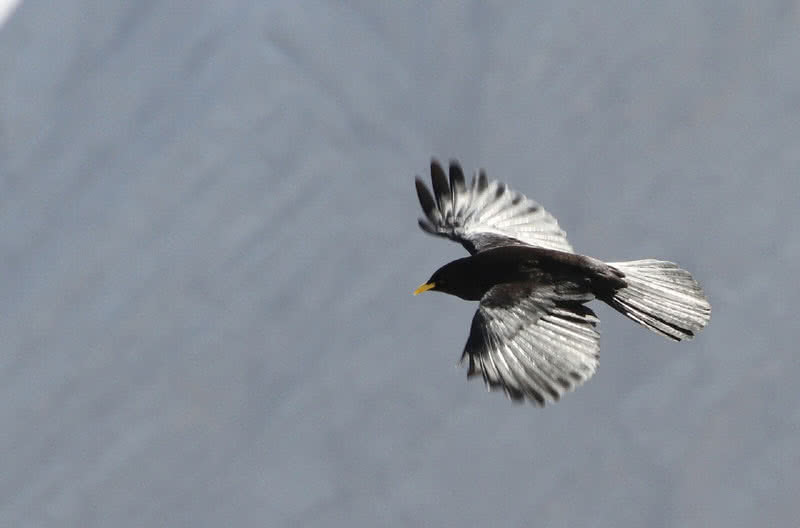 Alpine choughs are notable for their amazing flight skills. They easily fly around high peaks of the Himalayas. This mountain dwelling bird can reach a maximum height of 26500 feet. Alpine choughs can fly at great altitudes, even in winter. Whooper swan is a large migratory bird that named after its ‘whooping’ calls. They inhabit in flooded grasslands, wetlands, tundra, lakes and ponds of Southern Eurasia. They are notable for their long neck and yellow and black bill. In winter, the whooper swans migrate to Denmark, Germany and Britain. During migration, they form large flocks that contain thousands of individuals. They fly in ‘V’ formations during their journey to wintering grounds. Whooper swans usually fly at an altitude of 8000 feet during migration. But they can reach a maximum height of 27000 feet from sea level. Bar-headed goose is a migrating bird that can ascend to a height of 29000 feet, higher than Mount Everest. Bar-headed geese are native to Central Asia. They are perfectly adapted to fly over the Himalayan peaks where air pressure is dramatically low. Bar-headed geese have higher lung capacity than other geese. Their body have more red blood cells and can also increase the cardiac output in flight. Bar-headed geese are named after two dark bars around their head. They inhabit in high altitude lakes across Central Asia. In winter, bar-headed geese migrate to the South. They can cross a distance of 1000 miles in a single day during migration. Common crane is the second highest flying bird in the world. They are known to fly across Himalayas at a height of 33000 meters. 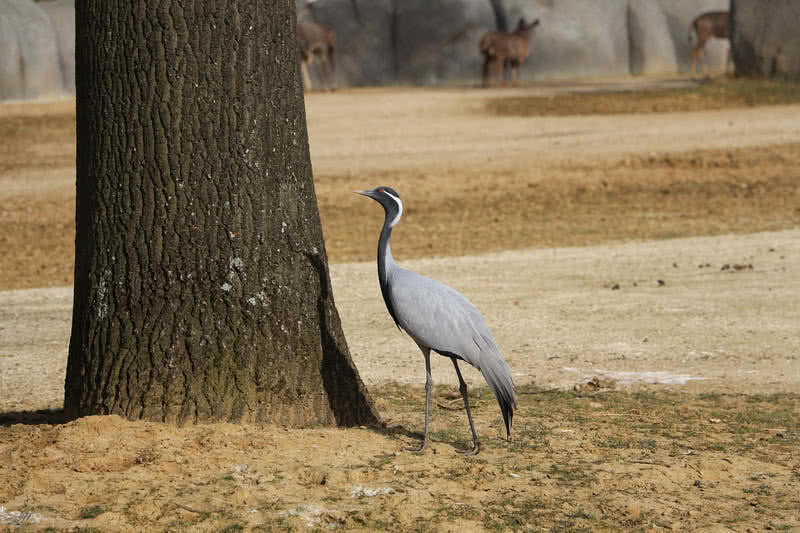 Common cranes are also known as Eurasian crane that live in Northern parts of Europe and Asia. The medium sized bird has a wingspan between 1.8-2.4 meters. It is a long distant migrant bird and wintering in Northern Africa. Common cranes form a large ‘V’ shape formations during migration. Flying at an altitude of 37000 ft., Ruppell’s griffon vulture is the highest flying bird ever recorded. Compared to ground the presence of oxygen is very less at such a great altitude. 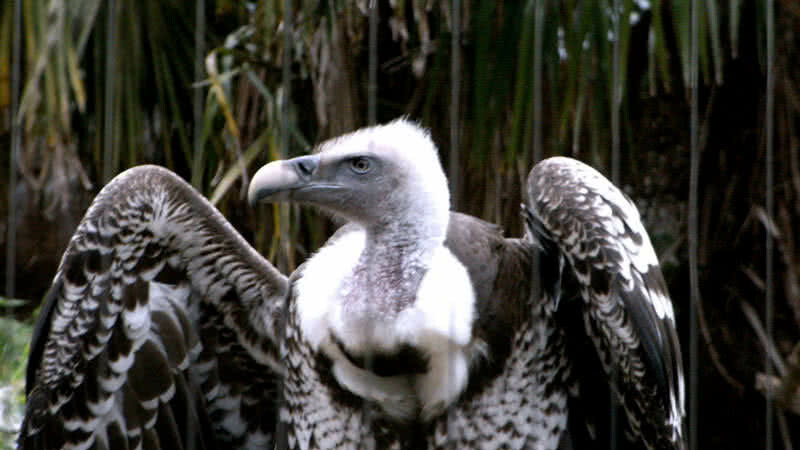 But, Ruppell’s vulture’s body contains a special type of hemoglobin and makes the oxygen intake more effective.